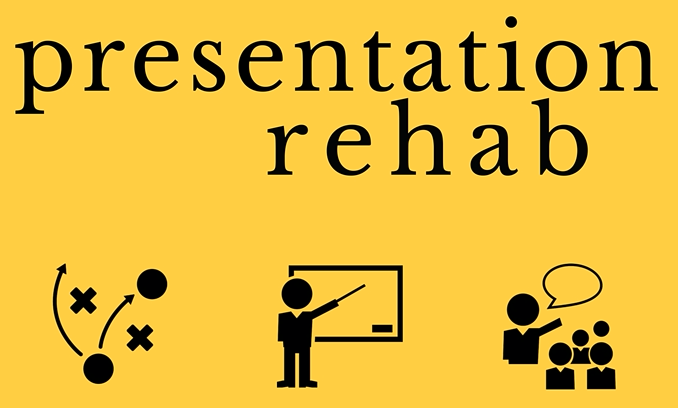 This is Tip 1 of several tips to create presentations and deliver them more effectively. For several years I have been working on a project to help others with presentation design and delivery. There are numerous books on both topics, and I have probably referenced them in this blog on more than one occasion. However, my list is based on my own experiences both as a consultant in working with others and as an attendee at numerous presentations. The project has evolved over time from a short e-book to a long-form printed book to its current state, a series of blog posts. One of the classes my brother had to take during his service in the United States Army was a planning class. In the class, soldiers learned to take an event and work backwards to ensure there was sufficient time for planning, acquiring needed resources, and any logistics required to successfully achieve the stated goal. This was an easy class for my brother because our mother was a planner and we learned early in our childhoods the importance of planning and how to make solid preparations. This experience helped me during college because I utilized - and probably many do - a "just in time" system for completing papers and projects. Once a project was assigned, I estimated how much time it would take me to conduct the research, write, and edit any required assignments. For the most part, this strategy worked well. However, on one occasion, I had to turn in a printed draft of an English paper. At the time I attended college personal computer technology was still in its infancy, and we still used 5.25-inch floppy diskettes. Time did not permit me to print the assignment, but I handed in the floppy disk. I assured my teacher the file for the assignment was on the disk, but he wasn't impressed, nor did he accept it. 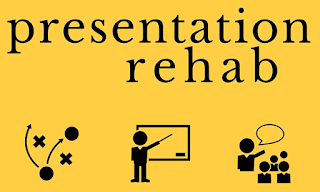 When developing your presentation, ensure that you allow sufficient time to create slides, handouts, and practice time. Obviously there may be times when you are called upon to speak or deliver a presentation on short notice. However, even in extenuating circumstances it will be helpful to think about desired goals of your presentation before working on a final set of slides or your presentation outline. Like constructing a building, creating and successfully delivering a presentation – with or without slides – requires some preparation time. For presentations, the essential preparation steps are planning, creating, and practicing. In planning, the prework of determining the desired outcome of your presentation and your goals are determined. The initial steps of logistics, such as identifying a point of contact, selecting a venue, and assessing technical resources (computer, projector, etc.) also occur during planning. The planning step is where initial design of your presentation will begin. Techniques such as storyboarding and brainstorming can be helpful prior to building in PowerPoint. Building out slides and creating handouts will occur during the create phase of preparation. If you elect not to use slides, walking through the steps to develop a series of points and determining how to expand and illustrate those points will be helpful.